Phyllis currently serves on the board of the Coach Initiative a foundation devoted to giving guidance and coaching to not for profit organizations and leaders around the World. Phyllis served as a founding partner and principal with InterChange Consultants. She is a specialist in communications and has extensive knowledge on new media application. She consults and offers media trainings including cross-cultural communications issues, and provides assistance to companies who wish to broaden their exposure in the international arena or develop more effective teams within their organizations. Her clients have included Citi Group, NECINA, APEX, 4A, C100, Conversation Among Masters, United Nations, Columbia University School of International Public Affairs, Ernst and Young, NCAA, and NFL Players Association. Phyllis was invited by the European Union and the Hellenic Foundation to bring her work to the emerging marketplaces of Central and Eastern Europe. As a result of the invitation, she delivered programs on communications skills and new media in Athens, Bulgaria, and Romania. She also served as a professional specialist on the faculty of Emerson College in Boston teaching at the graduate level in Boston and in Maastricht. She has been an active member of the International Society for Panetics since 1995 when Dr. Ralph Siu invited her to present her observations about infliction of suffering and the media. Her presentation entitled Dangerous Omissions: The Absence of Context in Media published in joint publication of Emerson College and the Christian Science Monitor (reprinted in the Journal of Panetics) gained her prominence in the International Society for Panetics and the continuing opportunity to work with Dr. Siu. 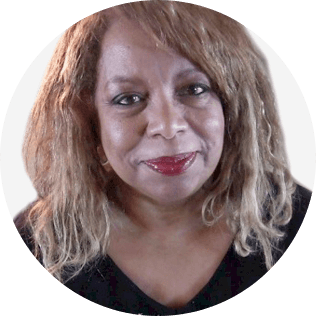 As a speaker, facilitator, trainer, and moderator, Phyllis Haynes is in demand. Her knowledge of global media, new media technology and cross-cultural communication encompasses over 20 years of experience in television. Phyllis holds an M.A. from New York University in Political Science with a concentration in Asian and Russian Affairs. She has a strong background in French and Russian languages.